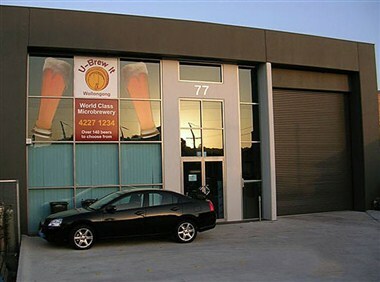 U-Brew - Wollongong is located at 77 Kenny Street, Wollongong, which runs directly off Burelli Street. Its business is only a short 10 minute walk to the City Centre. U-Brew - Wollongong has 400m2 of floor space and it can host a variety or corporate functions, parties, special events, birthdays, awards nights for up to 100 people.